Please scroll to bottom for DJ Store information. Knight Sounds began in 1983 and became a full-time company in 1986. Knight Sounds has performed at thousands of events in the past 25 years. 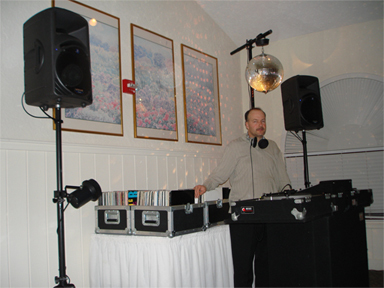 Knight Sounds performs primarily at Weddings and for Corporate Clients. We’ve also performed at most of the nightclubs in the Bay Area including 1015 Folsom, Harry Denton’s Starlight, Club Oasis, Cactus Club, Mission Ale House, Toon’s, Glo, Agenda, and many others. Music mixing using Vinyl records and CD’s. An expert in keeping a dance floor packed all night. Santa Clara University Graduate-- Economics. Membership in BAMMA and NAMM. 13 years of Radio Experience. 20 years of Club and Wedding Reception Experience. 20 years of A/V Sound & Lighting system engineering. 24 years of Total DJ Experience. The Perfect Wedding Reception Every Time. We approach your wedding reception as if our future depended on it-----actually it does, since 90% of our work is based on referrals. We offer a free consultation to get to know you better and to come up with a well-thought out itinerary for your reception, which respects your vision for a grand day. With over 20 years of Wedding Coordination experience, we can insure that your guests will be treated to a wonderful and exciting reception. On your big day, things will flow smoothly and your guests will feel comfortable and welcomed. The Right Mix of Music Every Time---your choice. Knight Sounds also serves the Bay Area DJ's with their needs. Our DJ store just celebrated it's 10th anniversary. Knight Sounds is known as the one-stop DJ shop. 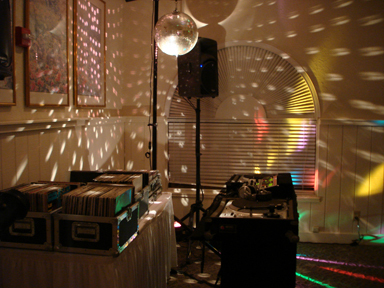 From music for any party or club gig to equipment sales, repairs, and rentals-- we do it all. We specialize in 12" records and Party Cd's. The shop opens at 11am everyday.